The Impact of Barber's 'Adagio for Strings' Samuel Barber's "Adagio for Strings" is considered one of the most popular of all 20th-century classical works. Its 1938 premiere by the NBC Orchestra with conductor Arturo Toscanini is a recent selection for the National Recording Registry. NPR honors recent additions to the Library of Congress' National Recording Registry. In the second of a five-part series produced by independent producer Ben Manilla and Media Mechanics, Weekend All Things Considered looks at recordings recently selected for the Library of Congress' prestigious honor. In November 1938, conductor Arturo Toscanini led the NBC Symphony Orchestra in the premiere performance of Samuel Barber's "Adagio for Strings." The concert was broadcast from New York to a radio audience of millions across America. Celebrated for its fragile simplicity and emotion, the "Adagio" might have seemed an odd match for Toscanini, known for his power and drama as a conductor. But according to Mortimer Frank, author of Arturo Toscanini: The NBC Years, despite the director's force and intensity, he was capable of "wonderful delicacy and tenderness and gentleness." The year 1938 was a time of tumult. America was still recovering from the Depression and Hitler's Germany was pushing the world towards war. 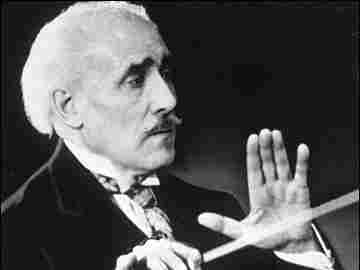 Toscanini himself had only recently settled in America after fleeing fascist Italy. The importance of the broadcast performance during this time is noted by Joe Horowitz, author of Understanding Toscanini. "Toscanini's concerts in New York... once he was so closely identified with the opposition to Mussolini, the opposition to Hitler — these were the peak public performances in the history of classical music in America," says Horowitz. "I don't think any concerts before or since excited such an intense emotional response, and I don't think any concerts before or since evoked such an intense sense of moral mission." 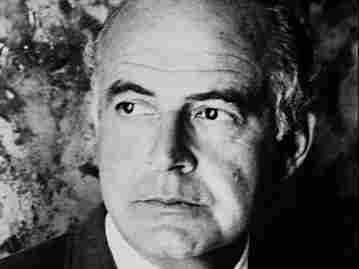 The "Adagio for Strings" was written by American composer Samuel Barber when he was in his 20s. With a tense melodic line and taut harmonies, the composition is considered by many to be the most popular of all 20th-century orchestral works. "You never are in any doubt about what this piece is about," says music historian Barbara Heyman. "There's a kind of sadness and poetry about it. It has a melodic gesture that reaches an arch, like a big sigh... and then exhales and fades off into nothingness."